A beautiful sub-zero sunset in Jackson Hole Wyoming. 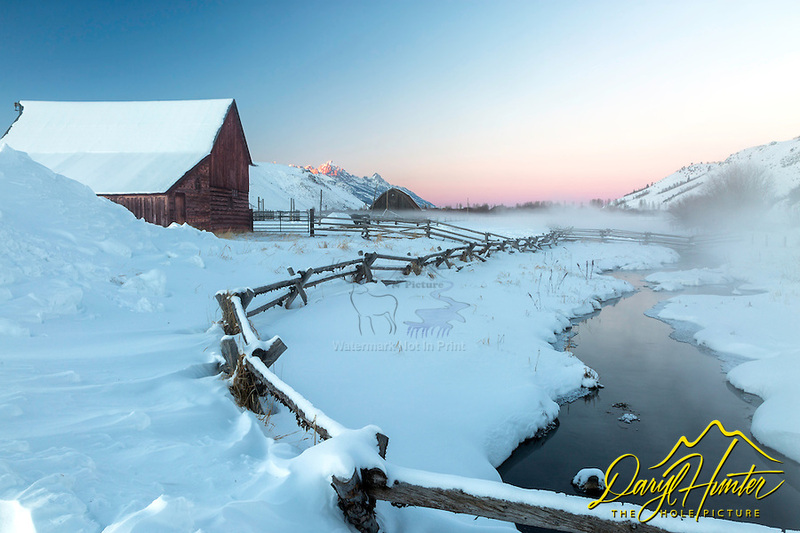 Jackson Hole's western heritage is old barns, buckrail fences and magnificent landscape. A bit of alpenglow on the Grand Tetons Beyond.